All over the country, aging seniors are living more and more independently. Many of them show a strong desire to do so at home. 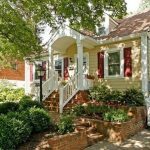 In fact, the AARP says that more than 90 percent of people over 65 “intend to continue living in their current homes for the next five to 10 years” rather than transition to a retirement community. However, this means seniors and their family members must find a balance between independence with the need for in-home assistance. Some seniors only need occasional assistance after they retire, while others are one slip or fall away from needing advanced care. The risk of injury for seniors in their homes increases if they live in older homes with steep stairs, narrow hallways or other structural elements that make navigation a challenge. 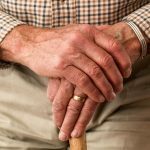 If you are a senior living in a home with stairs or are a person living with a mobility disability, you may think moving into assisted living or a nursing home may be your only choice. If that’s your only concern, then you have other options — some of which can keep seniors in their homes longer. For example, you may be able to easily address this mobility need with a stair lift. Many people see a stair lift as only a necessity for individuals in wheelchairs. However, a senior doesn’t have to be wheelchair-bound to benefit. Anyone with mobility concerns, visual impairments or general aging-related issues may find walking up and down the stairs an unnecessary risk. Even if a senior or person with a disability can live alone without daily assistance in all other aspects of life, a stair lift can create a sense of comfort and promote independence. This is especially true if moving a bedroom from the upstairs floor to the downstairs level is simply not affordable or practical. Stair lifts are also an ideal option for situations where ramps are impractical. While a ramp may make a front door entrance more accessible, it’s not an appropriate tool for indoor stairs that lead to a second or third story. Just like ramps, these are helpful for people who use canes and walkers, which can also be tricky — if not impossible — to use on stairs. Falls are the number one cause of accidental death in seniors, who have a one in three chance of falling at home. A stair lift can significantly decrease that risk, helping a senior live independently with confidence. 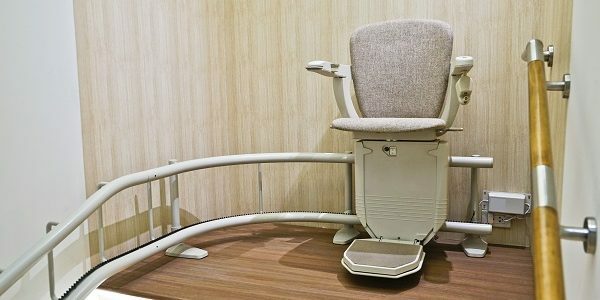 Stair lifts may be a great mobility solution, but they can be hard to afford. Compare the one-time stair lift cost to monthly assisted living fees. If you or your loved one can manage day-to-day tasks like food prep and medication schedules, investing in at-home mobility is a no-brainer. There are funding options. If you do your research, you may find one that offsets some or even all the cost. 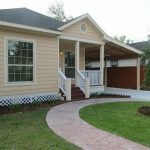 You may be able to deduct the cost of home accessibility modifications on your federal income taxes. Ask your doctor to write a recommendation stating that a stair lift is medically necessary for your well-being. The operating and maintenance costs make a nice yearly tax write-off. 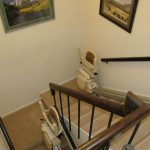 If you know a trustworthy source, purchasing a used stair lift can save you hundreds or even thousands of dollars. Be sure the stair lift is in good working condition, and try to find one still under warranty, if possible. Avoid buying one online, where you can’t see or test it before bringing it home. Both the federal and state governments offer home modification grants to accommodate disabilities. Funding is often available from the Department of Veterans Affairs. Nonprofit associations also offer financial assistance for stair lifts. Consider reaching out to United Cerebral Palsy, the National Council on Independent Living, Easter Seals, and/or Rebuilding Together. Research no- or low-cost home modification programs in your community. Check your insurance policies and healthcare plans. Your auto insurance, long-term care policies, homeowners’ insurance plans, and health insurance might cover the cost of a home modification. In some cases, a Medicare Advantage Plan may cover some of the home modification costs. 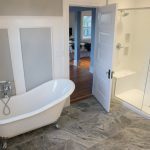 Will installing a stair lift damage my home? It’s natural to approach stair lift installation with caution. 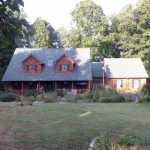 Many homeowners wonder if installing one risks damaging the structural integrity of their home. 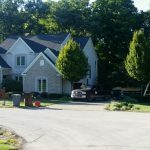 You may be concerned that a stair lift could negatively impact your home’s resale value or may need to be removed shortly after installation, which could be a burden to the family. These concerns have some merit, but let’s look at the reality of stair lift installation. Typically, the system does not attach to the wall. Instead, it leans the steps themselves, which are capable of supporting a great deal of pressure. Hire a professional chair lift installer who understands the specific requirements: permits, security, etc. Plus, professional installation is the most effective way to prevent damage to your home upon removal. You can also account for its appearance. They even come in a variety of styles, so you can purchase and install one that matches your home’s decor. Whether you hire a professional or try to install it yourself or with a family member, make sure it is safely installed and maintained. What are some general stair lift safety guidelines? Stair lifts aren’t complicated to use, but they do require attention to several safety precautions. While some may seem like common sense, others are more surprising. For instance, did you know that the system’s railings extend beyond the last step of your staircase? If this is near the front door or in a crowded foyer, it could become a tripping hazard. Using the seatbelt to ensure that you do not lose your balance or fall out of the seat while in operation. Dismounting carefully. Seniors or individuals with balance challenges may want to install an extended railing for extra support when dismounting. Keeping it locked when children are present. Children might be tempted to play with what looks like a fun ride, which can be dangerous. If children will be around, consider buying a model that requires a key or code to operate. Folding it up when not in use. The seat bottoms, armrests and footrests can typically be folded up to save space. Installing a stair lift can improve or lengthen a senior’s independence. Understanding how one fits into your home is the key to increasing mobility in your life.